The APG, funded by VNPT, Viettel, FPT and CMC, aims to boost Vietnamese Internet speed. The operation of the network aims to reduce dependence on the Asia-America Gateway (AAG) as the AAG faced incidents three times last year, which affected not only individual users but also enterprises. The APG boasts a capacity of 54 Tbps, the highest of any network in Asia. With a total length of approximately 10,400km, the cable line connects mainland China, Hong Kong, Taiwan, Japan, the Republic of Korea, Malaysia, Singapore, Thailand and Vietnam. 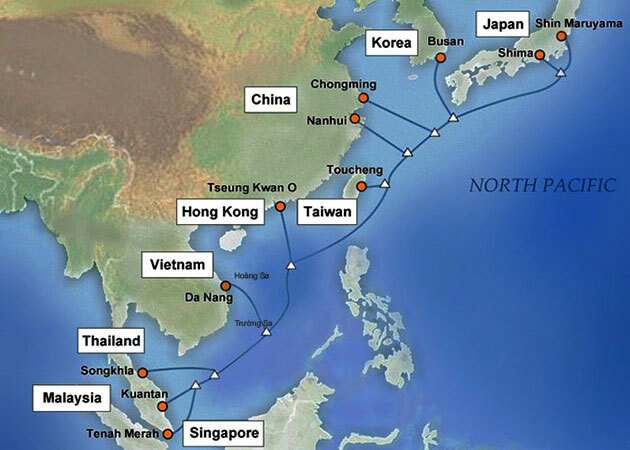 Viettel has also been investing in an Asia Africa Euro-1 (AAE-1) cable system, connecting countries in Asia, Africa and Europe. The cable line is expected to operate this year./.